During the last three years, on behalf of the Dutch Down Syndrome Foundation, Gert de Graaf has conducted several research projects in relation to the social inclusion of students with Down syndrome in mainstream schools. As such, he has made a thorough survey of the international literature. In addition, he has conducted a series of in-depth interviews of teachers, special educators, school administrators, and parents of included children, and he has also made observations in the schools (both in the classrooms and in the playgrounds). On the basis of the findings of his research, he gives a list of practical recommendations for interventions aimed at improving the social inclusion of students with Down syndrome. de Graaf, G. (2002) Supporting the social inclusion of students with Down syndrome in mainstream education. Down Syndrome News and Update, 2(2), 55-62. 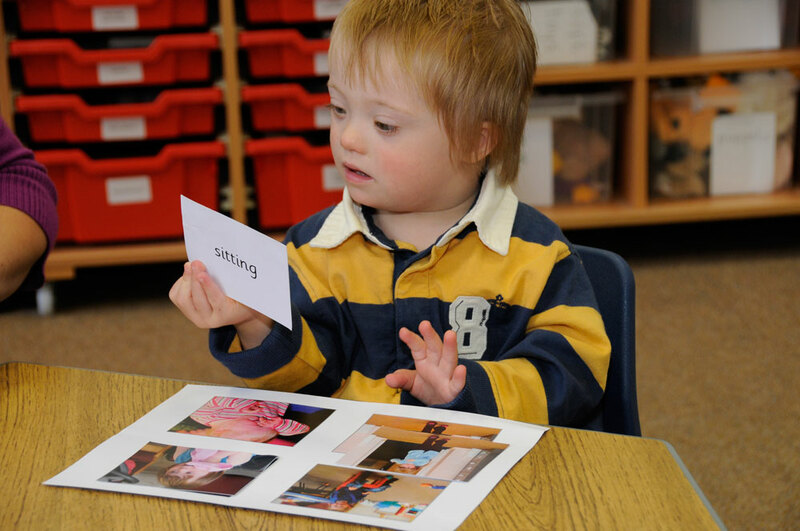 The provision of speech and language therapy services for children with Down syndrome is a controversial issue. 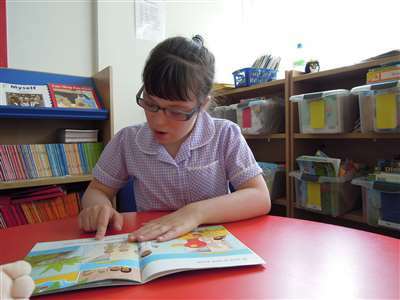 Families receive different services depending on where they live, and the knowledge and interest of local speech and language therapists in the specific needs of children with Down syndrome. This article is an attempt to provide guidelines for speech and language therapists, based on the best evidence of the children's speech and language needs currently available. It is a summary of the key facts about their speech and language profile and needs, followed by recommendations for service provision. Buckley, S, and Le Prèvost, P. (2002) Speech and language therapy for children with Down syndrome. Down Syndrome News and Update, 2(2), 70-76. A story in two parts: in 1994 I wrote describing the background of my sister with Down syndrome and the way in which she and I coped with her care after the death of our mother. I hoped that our experience would be useful to parents facing the prospect of their handicapped child being left without parents. The second part describes the present situation and includes our plans for the future. Barry, A. (2002) Meg's story. Down Syndrome News and Update, 2(2), 65-69. Provides an overview of the two following articles which discuss aspects of life for adults with Down syndrome. It highlights the importance of independent living skills, both at home and at work, for self-esteem and self-identity. Buckley, S. (2002) Independence and employment for adults with Down syndrome. Down Syndrome News and Update, 2(2), 64-64. An update to the article by the authors published in issue 2(1) of Down Syndrome News and Update. It describes a simple technique for increasing expressive vocabulary in children with Down syndrome. Kotlinski, J, and Kotlinski, S. (2002) Increasing expressive vocabulary through parental recognition. Down Syndrome News and Update, 2(2), 77-77. Inclusion in education - what are the benefits and how do we make it successful? An introduction to, and overview of, the two following articles on inclusion in education. It provides the background to the inclusion movement, and the author's experiences of changes in inclusive practices in the UK since the 1970s. The need to provide successful inclusion is highlighted. Buckley, S. (2002) Inclusion in education - what are the benefits and how do we make it successful?. Down Syndrome News and Update, 2(2), 45-45. A partnership between The Down Syndrome Educational Trust and a supported employment service backed by the European Social Fund has created part-time jobs for five young people with Down syndrome. Staff from both organisations report on how the young people were supported when they started the jobs, and how they have fitted into the team. It is hoped that the example will encourage other employers to provide similar work. Henwood, S, and Dixon, J. (2002) Employing adults with Down syndrome. Down Syndrome News and Update, 2(2), 68-69. A survey was conducted in 1999 of teenagers with Down syndrome in Hampshire (n = 46), replicating and extending a previous survey conducted in 1987 (n = 90). A questionnaire which covered all aspects of the teenagers lives was completed by parents, along with standardised scales (Vineland Adaptive Behaviour Scale and Conners Rating scales) which assessed daily living skills, communication skills and socialisation skills. Significant progress was seenin these areas with age, with the exception of communication skills in children in special schools. No differences were found between children attending mainstream and special schools in terms of daily living skills and most aspects of socialisation. However, the teenagers who had attended special schools had higher scores on interpersonal relationships, as the older teenagers in this group were more likely to have a boyfriend or girlfriend, a special friend and belong to clubs. Communication skills were significantly better in the mainstream group. In addition, despite general increases in academic expectations, a lack of progress in skills was observed in the 1999 special school group compared to the teenagers who took part in the 1987 survey. The extent of behaviour difficulties was also measured and behaviour was found to improve with age. Concerns that mainstream education may increase reports of difficult behaviour were not confirmed, with children in mainstream education less likely to have difficulties. The conclusion is drawn that inclusion has achieved what was hoped for in spoken language, behaviour, social development and academic benefits, but not for social inclusion. Recommendations for addressing this final point are presented. Buckley, S, Bird, G, Sacks, B, and Archer, T. (2002) A comparison of mainstream and special education for teenagers with Down syndrome: implications for parents and teachers. Down Syndrome News and Update, 2(2), 46-54.